Hello! Our weekend was grey and cool so we hunkered down in our easy chairs by the cheery fire of the pellet stove and I happily crocheted away on my Woodland blanket and we watched some movies and on Sunday we watched the Super Bowl. What did you do over the weekend? I'm really enjoying the colors in this that Lucy selected. They are to recall the autumn leaves, green of the leaves, mosses and blues of the sky. The blanket is now big enough to warm my legs as I stitch along. 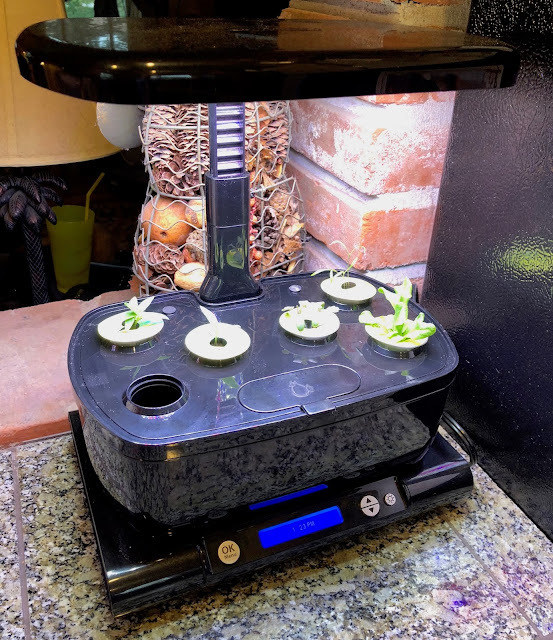 Kristi's mom got the boys this fun little seedling grower for Christmas and Kristi set it up in the kitchen and lo and behold, there are seeds sprouting! How fun is this? See the little lettuce plant? 2 bell peppers are growing and some dill in the upper right hand corner. 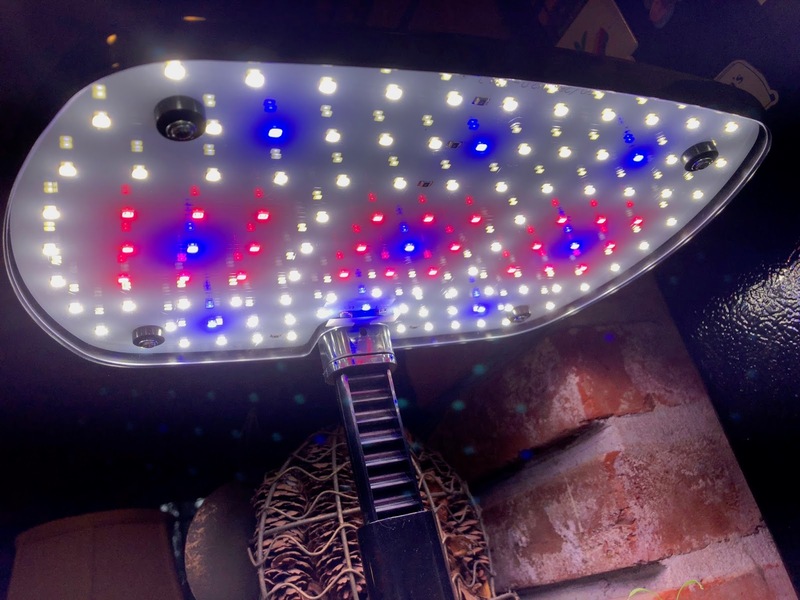 These are the lights that help the seedlings grow, pretty wild, huh? 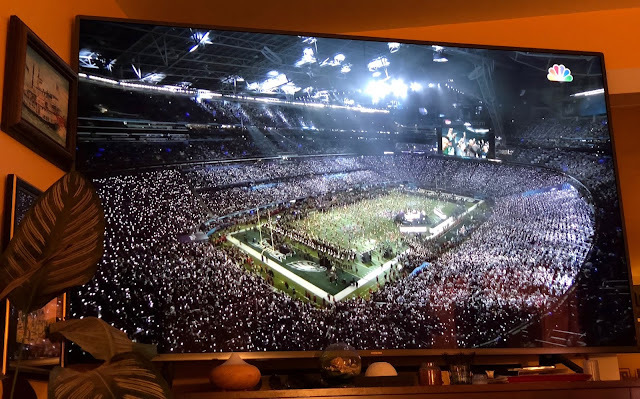 Then yesterday afternoon was the Super Bowl. Now in the spirit of transparency, neither Dayle nor I are avid sports fans. But this is a big game with lots of hullaballoo and so it's kind of fun to watch. For me, the best parts are the commercials and the big halftime show. :-) The contestants were the New England Patriots and the Philadelphia Eagles. I really didn't care who won, but I liked the name of the "Patriots". LOL! 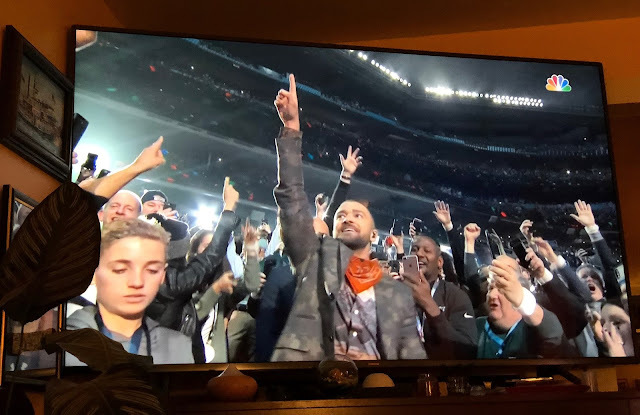 Justin Timberlake's show was fun, he went up in the audience and the teenager on the left is making the news as Justin stopped and posed for a selfie with him as he was walking past. Cute. JT gave the entire audience flashlights and light devices so they could be part of the show, I thought that was brilliant. If you're a reader from another country, do you have big extravagances for your sports teams such as this? If you're an American, which team were you rooting for? 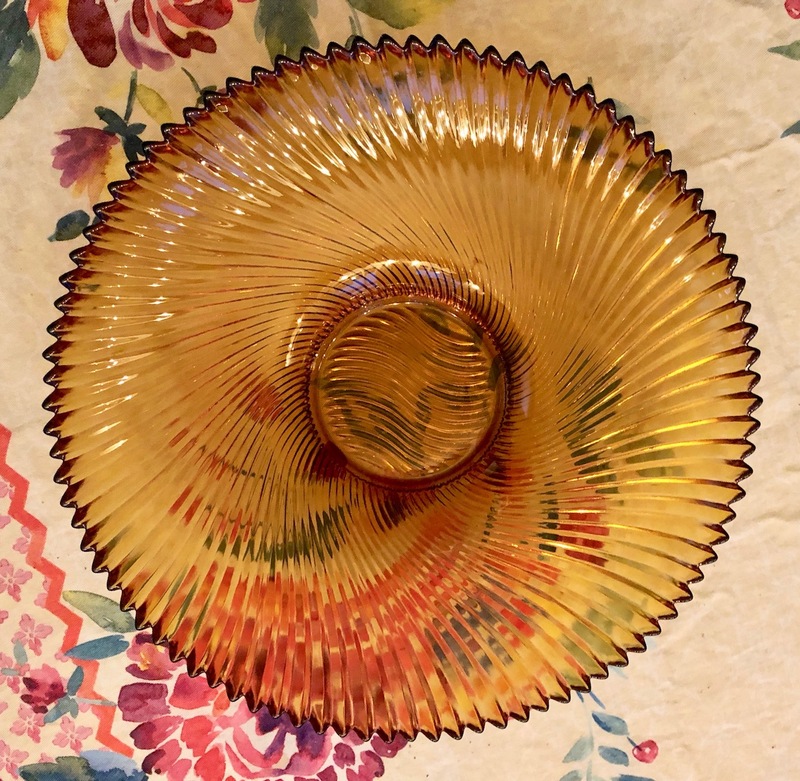 At our Portland Women's Forum meeting last week I picked up this gorgeous glass bowl for $1! It's about 14 inches across and so pretty. 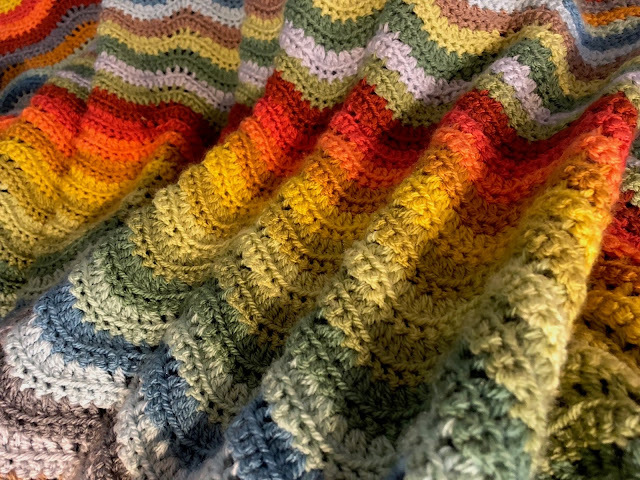 Love how your crochet blanket is coming along. That is one lovely bowl too and a bargain for sure. Such a neat planter and boys will be loving this for sure. We have football and a grand final which a lot of aussies are crazed with, me not so much but can be a wonderful atmosphere. I can go to a few crochet/knit meets but have not in more than 2 yrs, I miss because mostly away. The blanket is coming along so well! I'm impressed with how even it all looks! WOW! And how fun to sit cozy while you crochet : ). Hope you have a lovely week! Your blanket is so so pretty. I love your 11 dollar find!!! I used to go weekly to a knit group here in WIsconsin. I need to make time to go again because I was always inspired by their knitting and crocheting. 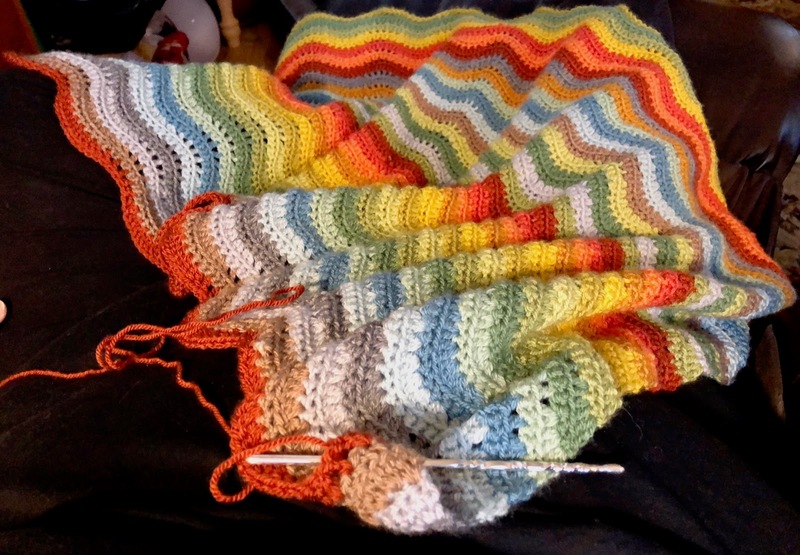 Your blanket is coming along nicely, such a wonderful array of colour, a beautiful combination. Gerard likes to watch football but I am not particularly interested in sport. Your blanket is coming right along. The colors you chose are perfect for fall. We didn’t watch the Super Bowl. Dennis was in Texas and I’m not a football fan. 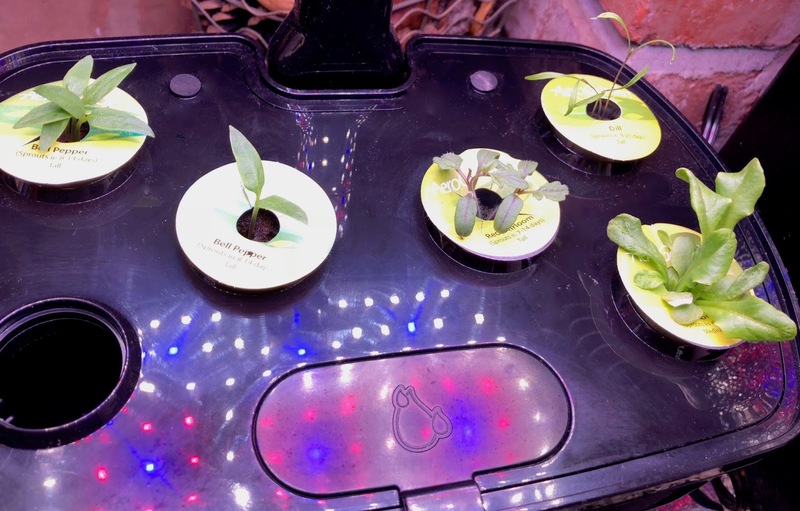 That’s quite the plant grower that Kristi has set up. How fun for the boys to actually watch things grow from seedlings. I have a knitting group that I go to on Tuesday mornings. They meet in a restaurant not too far from our house. Everything is gluten-free. It’s nice to have breakfast and knit and chat. I hope you have a lovely day today Teresa. Glad to hear you've found a craft group that you might get involved with. I'm not into sports either and really think it is very sad that fans in Philly decided to trash the city as way of celebrating. Doesn't make much sense to me at all. I only saw Justin Timberlake's halftime on YouTube but felt he danced more than he actually sang. Love that little seedling grower. I regret not planting things with my kids when they were little. Now I find so much delight in watching plants grow from seed (which is exactly what I posted about today). :) Your blanket is gorgeous. I'm trying to finish up a bunch of granny square blankets I've started over the past year. Pretty bowl and your blanket is really growing! I live just outside of Philadelphia. 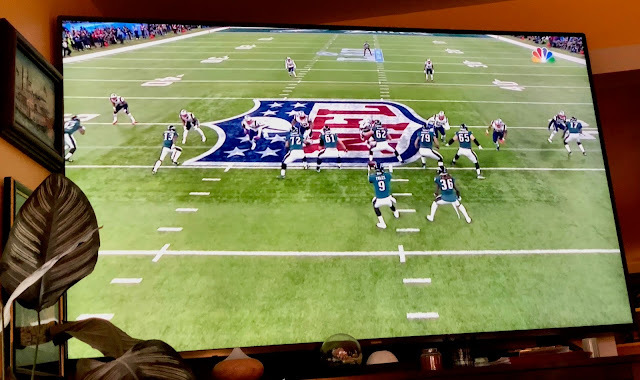 I'm not a sports fan at all...and didn't watch the game...but I was happy the Eagles won because we got Monday off when that happened! A knit & natter group sounds lovely - I haven't had any luck finding one near me that's convenient (distance-wise and time-wise). Hello Teresa. 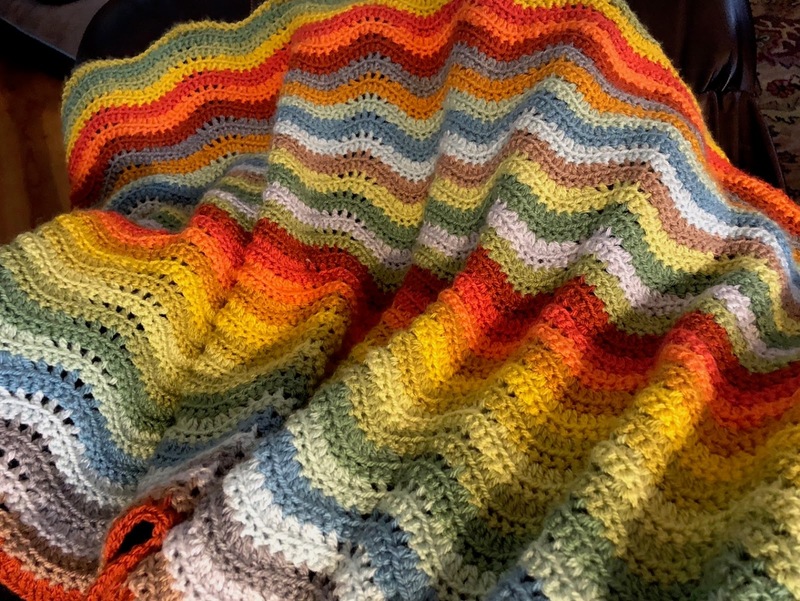 The blanket is really coming along and the colours are so lovely. Love the glass bowl and the planter the boys had. I'm not a sports fan either. Love watching my grandchildren in their various sporting activities. The (beautiful) Oregon City Library has a knitting group that meets the first Tuesday of every month. Great group of ladies! 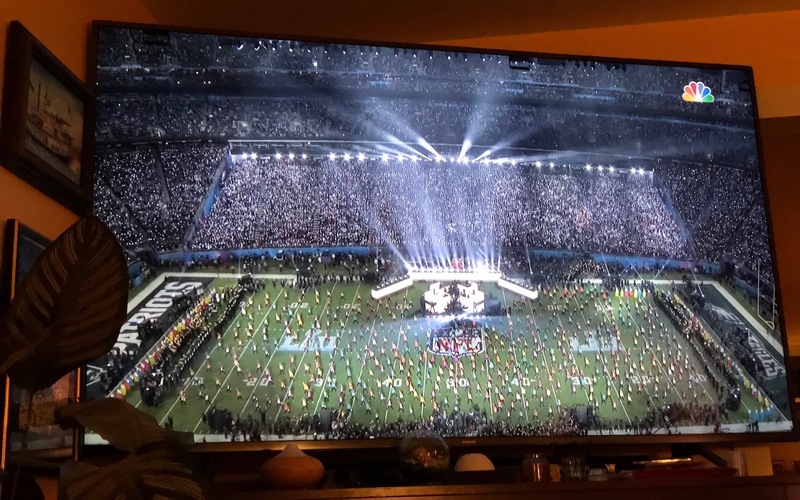 This was our first Super Bowl and despite not understanding lots of the rules we enjoyed the spectacle of it all, we were split 50/50 on our team support and son and I got lucky. There is nothing that glitzy in the UK sporting calendar. I missed most of the game even though I heard it was good. If the Packers aren't playing I don't really care a whole lot. I did see JT and thought the halftime show was great.